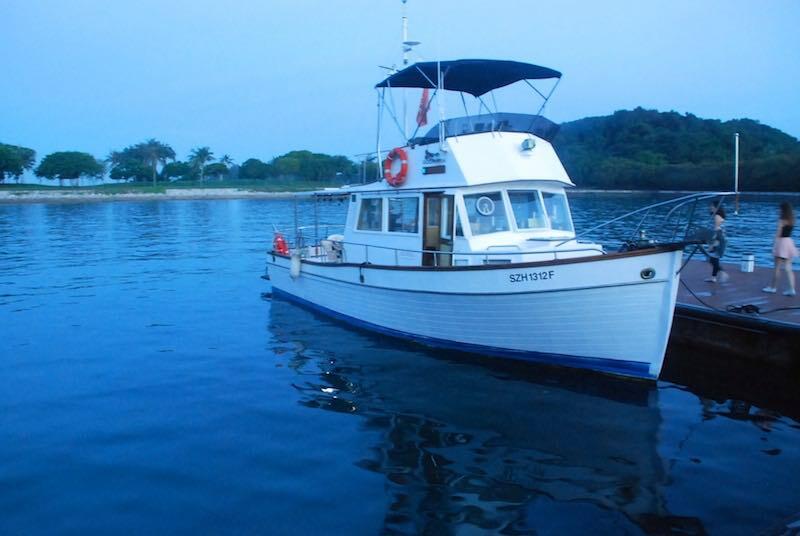 Ideal for family or corporate outings, island cruising and fishing. 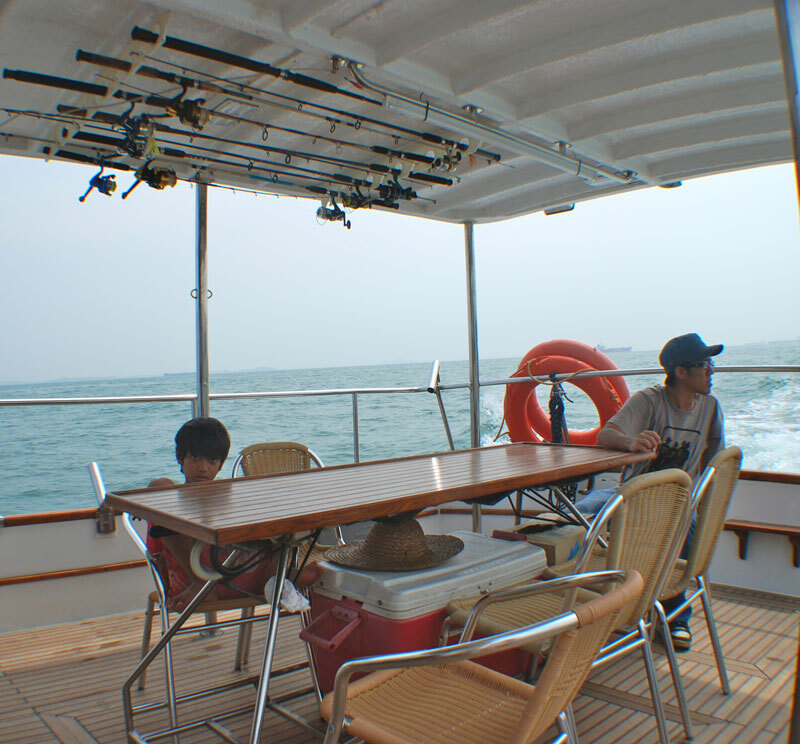 With a large aft deck, guests have lots of space for an on-water picnic or barbecue out at sea. 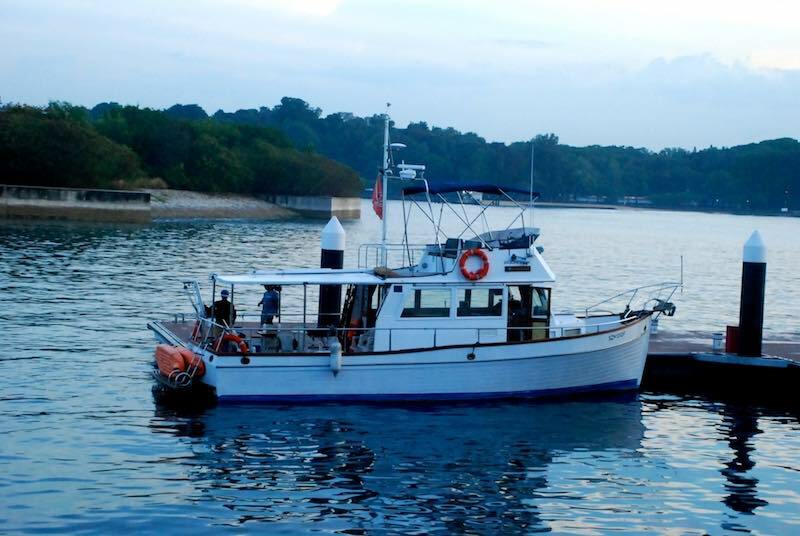 The fly bridge is a great place to take in the sea breeze as you cruise, and there’s a lot of deck space all round to pick your lucky fishing spot. 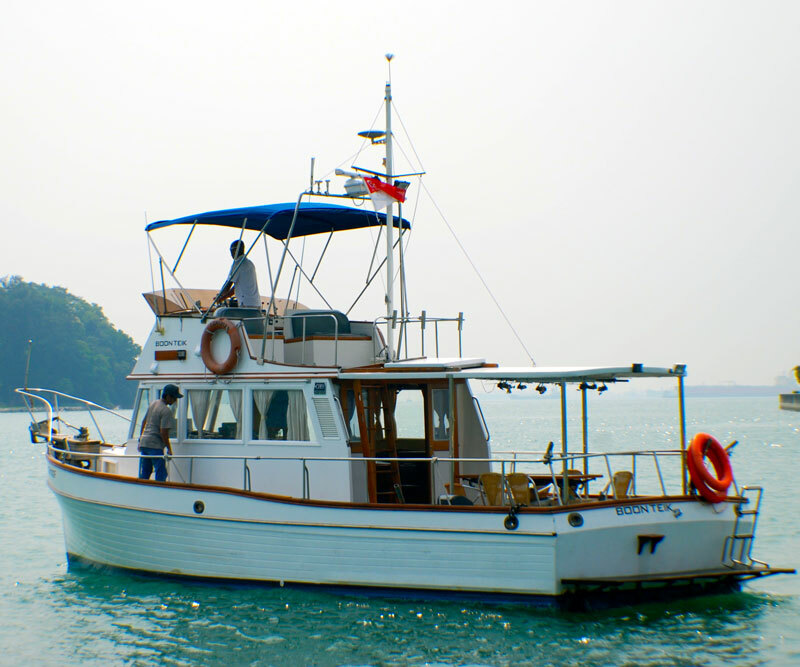 Never dream about a Yacht cruise? Now you can. 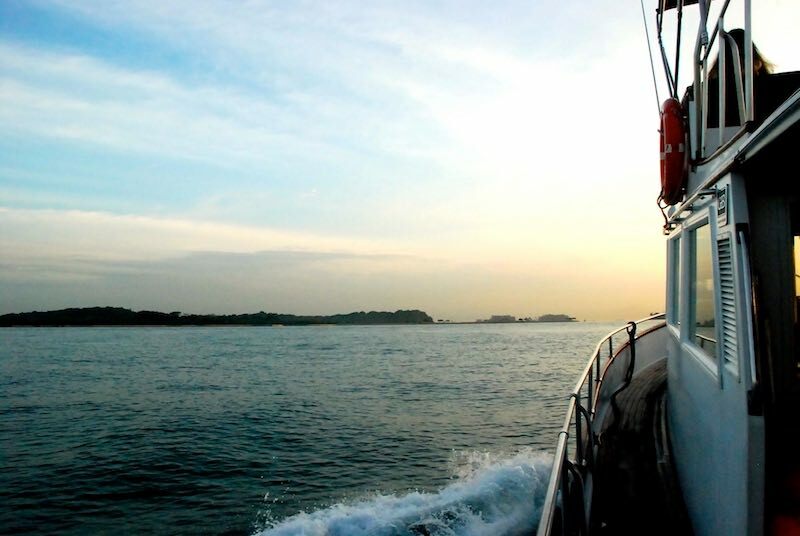 If you have 10 friends, you can have a lot of fun for less than SG$60 per person. 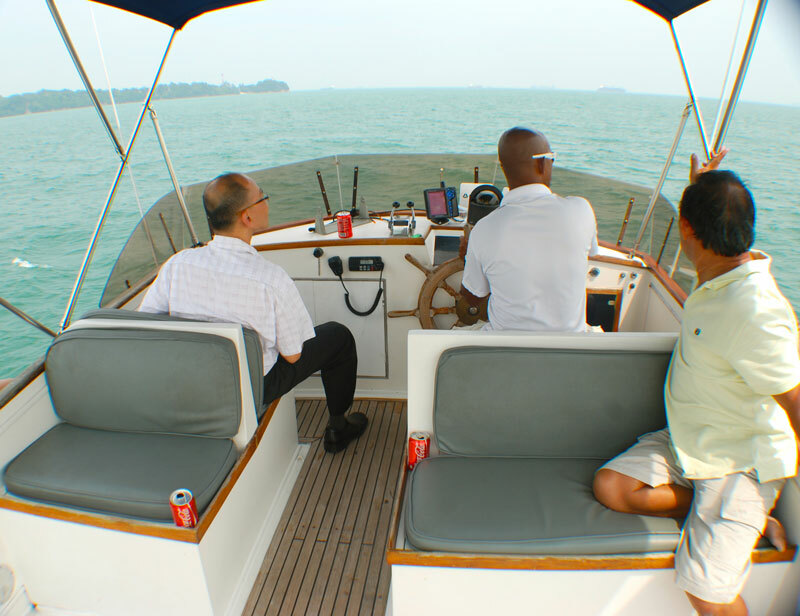 That’s the cheapest Yacht Rental rate in Singapore! Possibility of BBQ on the boat. Bookings will only confirm upon receipt of full payment and is subject to first-come, first-served basis. 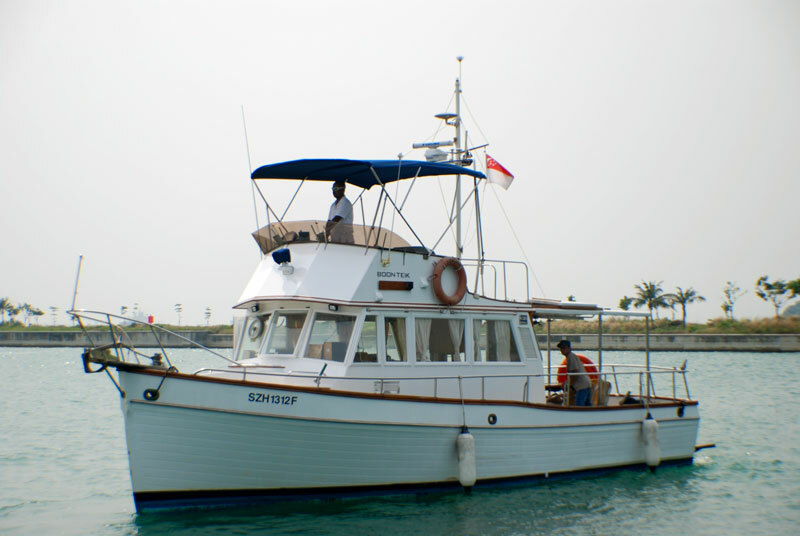 Charter rates include fuel, skipper/crew fee and free flow of mineral water and Pepsi. For Cancellation: More than 28 days prior to departure, full refund less 18% admin fee will be made. More than 14 days, less than 28 days, 50% of full payment will be refunded. Less than 14 days, full amount will be forfeited. Maximum capacity of 10 passengers per cruise, a baby is consider as 1 passenger. Smoking is allowed on designated smoking area on board.